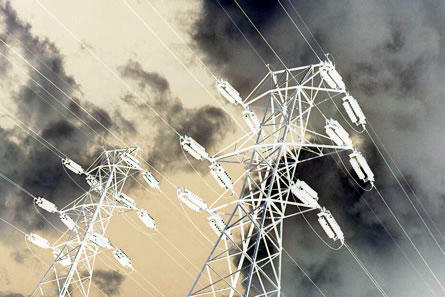 The New York State Public Service Commission recently allowed for project developers to submit new or modified proposals with regard to a major power line project. Some people who had raised concerns commend the PSC’s effort, but remain apprehensive. The goal remains the same – developing at least 1,000 megawatts of new transmission capacity, but the means to get there could change. The Public Service Commission in February directed administrative law judges overseeing the proposed projects to establish a process by which competing developers could submit new or modified proposals that make greater use of existing transmission corridors. This means the PSC could mix and match proposals from different developers to reach the desired 1,000 megawatts. The PSC’s change comes after Governor Andrew Cuomo in his 2014 State-of-the-State address called for expediting transmission projects that fall within existing rights of way. Ned Sullivan is president of Poughkeepsie-based environmental group Scenic Hudson, part of the Hudson Valley Smart Energy Coalition. The coalition includes citizens groups, municipalities in Columbia and Dutchess Counties, and the Omega Institute in Rhinebeck – all of which would potentially be impacted by the plans. Sullivan praises the PSC for its actions, but says there is still uncertainty for many. “A dark cloud still hangs over property owners, whether they’re residents, or the Omega Institute, or other businesses, and farmers who own land in corridors – new corridors – that were previously proposed by the applicants,” Sullivan says. He says the ruling to pave the way for modified proposals signifies the PSC has been listening to local concerns, yet he notes the PSC is encouraging — yet not requiring — that proposals stay within existing corridors. “Our coalition continues to call on the PSC to give definitive instructions to the project applicants to stay within the corridors and to eliminate from consideration the prior proposals that are outside the footprint of existing rights of way,” Sullivan adds. He says the PSC is examining four competing proposals to upgrade transmission lines that pass through 13 counties and 38 towns, including 24 in the Hudson Valley. Democratic Assemblymember Didi Barrett’s district includes portions of Dutchess and Columbia Counties. Barrett wrote to the PSC to let them know proposed high-voltage transmission line projects were already negatively impacting her district. “So I wrote the letter to be sure that they understood that there was already significant economic and emotional impact on families who were really worried about eminent domain, where they were being challenged just to make normal family decisions. Do we expand our family room now that our kids have gotten older but, who knows, we may have a power line running through the middle of the space that we’re looking at building on,” says Barrett. She mentions in her letter that one of the region’s economic engines — the Omega Institute — put expansion plans on hold after learning that one of the current proposals would run lines through its campus. A PSC spokesman says Barrett’s letter has been submitted as a public comment. Barrett holds out hope that the PSC can strike a balance between reaching its energy goal of upgrading lines to ease the bottleneck on the transmission system between Utica and New York City and preserving Hudson Valley communities. Her optimism stems from her interaction with PSC officials. John Maserjian is spokesman for the New York Transmission Owners, which includes Central Hudson, Con Edison, the New York Power Authority and others. He says the revision to the Alternating Current Transmission Upgrade proceeding by the PSC could have his group coming back to the table. “We’re actually very encouraged by that ruling, and the New York Transmission Owners are collectively, or even individually, interested in submitting alternative proposals or modifying the project proposals that have already been submitted that are oriented towards maximizing the use of the existing right of ways,” Maserjian says. The PSC spokesman underscores that the purpose of the AC transmission proceeding is to foster upgrades to an aging infrastructure and address congestion problems that cost electric customers across the state hundreds of millions of dollars in excess electricity costs annually. A New York state senate committee next week will hold a hearing about a contingency plan if the Indian Point nuclear power plant were to be shut down. The committee’s chairman has concerns about the proposed plan, but does not want to see the plant closed. An environmental group does. A report compiled for an opponent of a proposed water supply project in Rockland County, New York says a serious look at alternatives has been missing in the debate. The report’s author says a viable alternative to the more than $120 million project can be brought to the table. As debate continues over how to fund universal pre-kindergarten in New York State, an Assemblymember from the Hudson Valley wants to ensure that funding for special education programs is part of the plan. Democratic Assemblymember Didi Barrett recently sent a letter to Assembly Speaker Sheldon Silver asking for both universal pre-K and pre-K special education funding to be included in the 2014-15 state budget. She says it’s time to remove the financial burden from local governments. New York electric customers will be getting a small credit on an upcoming bill. The state Public Service Commission on Thursday approved a one-time credit to electricity bills of up to $3, depending on usage.